At Yogi Café, our aim is to use organic, seasonal and locally sourced products. With the increasing use of pesticides, artificial fertilizers and other yucky chemicals in our food chain, not to mention GMO crops, it has never been more important that we consider very carefully what we eat and drink, not only for our personal health and well-being but also for that of our beloved planet and children. Sourcing as many of our ingredients from local farms and suppliers, means that we have more knowledge about the origins of the fruit and vegetables that we use so that we can guarantee you that as much of our food is organic, non-GMO and free of pesticides. Of course, this is a tiny tropical island, so it is necessary that we must import many of the products that we need to make the food at Yogi Café so nutritious and yummy! WE choose carefully our suppliers, whether it be the organic Greek olive oil we use, Tahini from Israel or dates from Saudi Arabia….not to mention the wide range of superfoods such as Maca, Hemp Protein, Raw Cacao & Spirulina. David Wolfe, referred to as the rock star of the super foods and longevity universe, not only promotes the importance of eating organic Vegan foods but also of eating seasonally. As beings we are part of nature and the cycles of nature. Many of our illnesses and conditions such as allergies are often a result of being out of sync with our environment and these cycles. 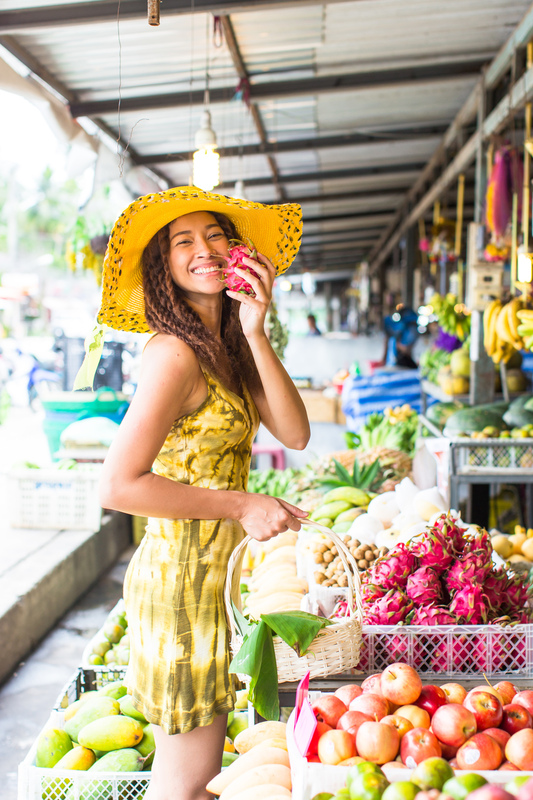 Eating local produce and in season is important in maintaining our health and balance. Healthy nutritious food does not need to be boring! If in doubt, visit Yogi Café…we know that you will love our food!